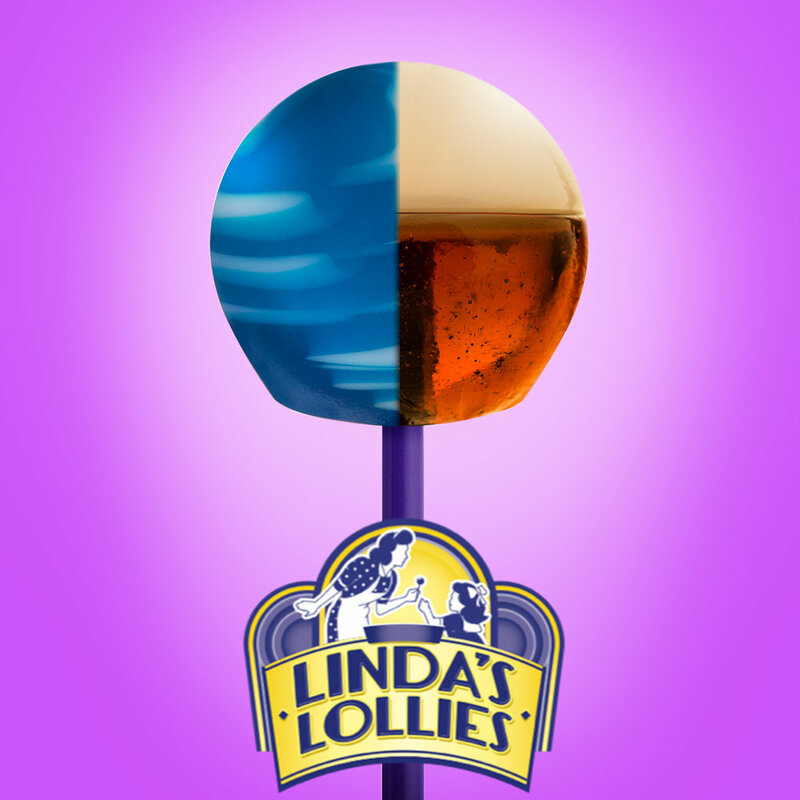 Linda’s Lollies are the original gourmet lollipop with over 35 years of premium quality heritage. Each of the 18 different gourmet flavors is specially crafted to deliver superior flavor intensity. Fidget Pops are real fidget spinners with 2 delicious lollipops on each end that are covered with re-sealable caps. It offers lasting play value as the spinner continues to work even after candy is consumed! 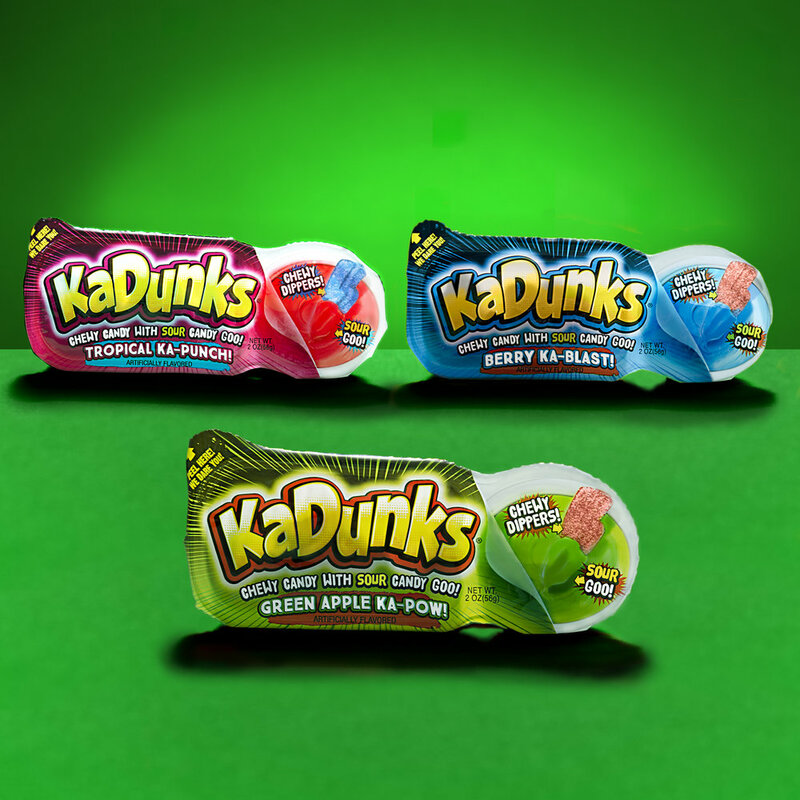 KaDunks combines chewy candy dippers with sour goo to create the ultimate sour candy eating experience. Do a little goo or a lot for an incredibly intense mouthful of sour gooey goodness unlike that of any other sour candy! 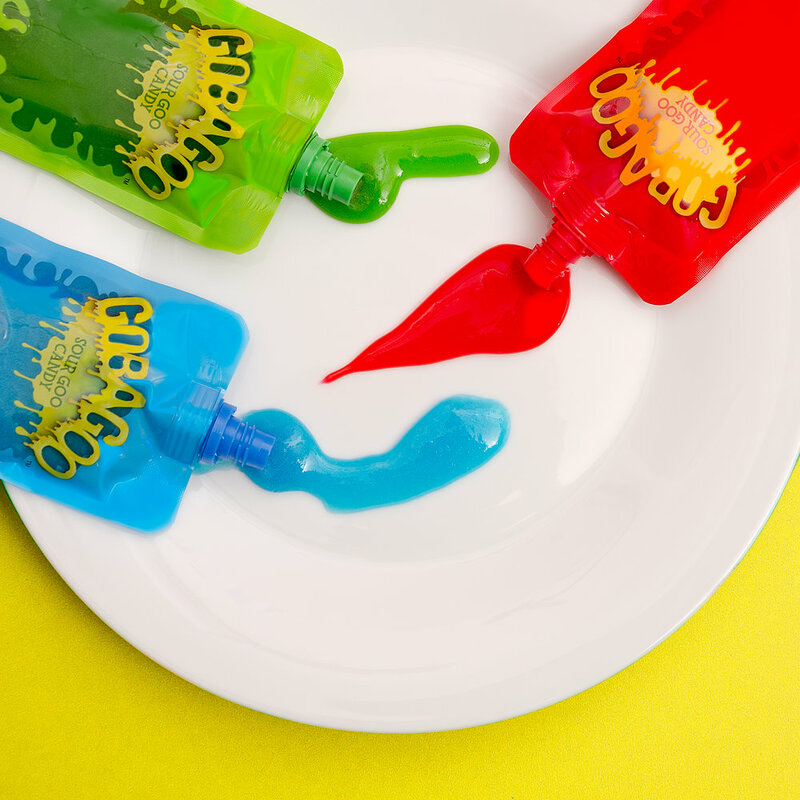 Gobagoo is slime-like candy goo that delivers a mouthful of intense yet delicious sour fruity flavor. And the re-sealable squishy pouch makes it as much fun to squeeze as it is to eat! YOLO Candy was born when three seasoned confectionery executives formed a company that would turn their experience and passion into a successful global business. More than that, they wanted to create a company that translates innovation, creativity and fun into successful products—candy that would entertain and delight kids of all ages. Of course, even the coolest, most entertaining candy product needs to be delicious and safe. Here at YOLO, we know a whole lot about bringing kid-friendly, mom-friendly, and excellence-friendly together. Beyond our products are people. We start with great ones who work great together. People who are in it for the long haul. This means building and maintaining long-standing business relationships with those who share our enthusiasm for creativity and quality – folks who value mutual respect and shared successes. YOLO is a company based in the spirit of its name: You Only Live Once. In everything we are and everything we do, there is a sense of “all-in” – ideas, productivity, success, and of course, fun. So try our products, we’re sure they’ll leave a sweet smile on your face too. Brent Greer is the former Vice President of Sales & Customer Marketing at Topps. He has more than 20 years of experience in the confections industry having worked at both Topps and M&M Mars. For 10+ years he’s managed top-to-top relationships with key retailers and confectionery brokers and is a pioneer of kid’s candy category management in the U.S. retail space. Scott Silverstein is the former CEO of The Topps Company, a $400 million multi-national corporation best known for its Bazooka bubble gum and Topps trading cards. Scott oversaw the Topps worldwide confectionery, Sports and Entertainment businesses and has more than 20 years of experience in marketing, new product development, sourcing, and licensing. John Budd is the former Vice President of Marketing for Topps, where he was responsible for Brand and New Product Development, Quality Assurance and Packaging. He has spent more than 15 years in the confections industry and 25+ years in kids’ marketing. John is the architect of the best-selling children’s candy brands: Ring Pop, Push Pop, Baby Bottle Pop and Juicy Drop Pop.